When a family member or loved one needs a caregiver, it can be very difficult if you do not live in the same area as they do. However, long-distance caregiving is possible if you tap into community resources and stay diligent with communication. 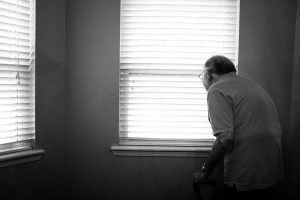 If you are in a situation where a loved one who lives far away can no longer handle their daily responsibilities, use the following advice and resources to give them the support they need. Medicare is an incredibly valuable asset for Americans over 65. Medical costs make up a large part of a senior’s expenses — for many, they eat up the majority of their budget. Medicare helps mitigate these costs and makes it easier for seniors living on a fixed income. As your loved one’s caregiver, it’s important to know how Medicare works. Go over your loved one’s medical needs before deciding which plans are best for them. Take a look at their current Medicare coverage and compare it against their medical bills from the past year. Ensure you pick a plan that allows them to continue seeing their current providers and taking the medications they need. If you’re a long-distance caregiver, you are going to need help in the form of an informal care network. While you are ultimately responsible for your loved one’s well-being, an informal care network can be there physically to assist them when you are unable to do so. Ask around and find people in the community who are willing to help. Your network may be comprised of relatives, neighbors, and longtime family friends, but don’t forget to look outside of the people you know. Many members of religious, civic, and social organizations can help with everything from transportation to simply visiting your loved one in order to prevent senior loneliness. While technology makes it easier than ever for us to stay connected, it’s still important to actually be there for your loved one. Plan regular visits, and stick to your commitment to travel and see your loved one. When you visit, you’ll likely have a lot to do regarding your loved one’s care. However, don’t let your trip be all about business; it’s important to sit down and talk with your loved one so you can be assured that they are healthy and happy. Schedule time where you can play a board game or complete a puzzle together. Take them out to eat at a restaurant they enjoy, or get some exercise with a gentle walk around the park. Caring for seniors is about so much more than making sure they have their medications — you need to be there for your loved one emotionally, as well. The gig economy has made it easier than ever to outsource chores like grocery shopping. Since you can’t be there at all times to help your senior loved one with essential tasks, use delivery services that can take care of everything for them. It’s not just groceries you can have delivered; seniors can benefit from all kinds of delivery services, including massages and laundry. Long-distance caregiving isn’t easy, but with enough organization and communication, you can see to your loved one’s needs even from afar. Stay up to date with Medicare and changes in their coverage. Establish an informal care network you can lean on when your loved one needs help and you can’t be there. Plan regular visits and be there for your loved one emotionally. Finally, take advantage of delivery services for everything from meals to massages.